Paris Motor Show wasn’t quite as big or as spectacular in 2016 as it has been in the past. There were some notable absences, including Ford, Mazda, Bentley and Rolls-Royce, while some manufacturers had much lower key stands than is typical, including Mercedes-Benz. But, even so, there were some really interesting new cars on display, with the usual mix of mad concept cars, exotic performance machines and plenty of more mainstream, realistic cars. We’ve picked out our favourites across the whole gamut, with hatchbacks, SUVs, and some mad concepts for good measure. 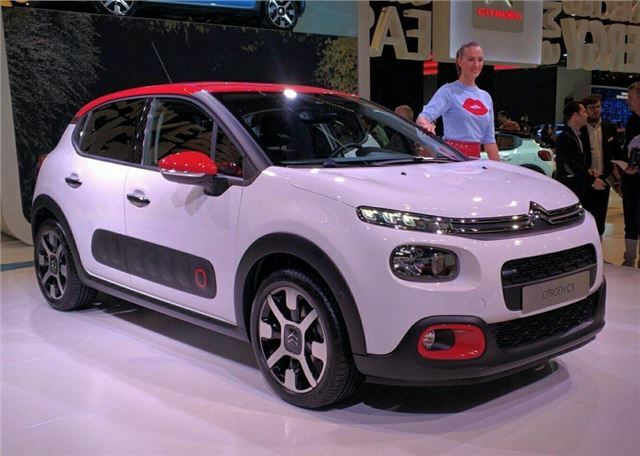 With air bumps and Cactus inspired styling, the latest C3 is a far cry from the dull outgoing model. It’s far more interesting inside, too – the show cars had varied interior colour finishes – plus there is a surprising amount of space both in the boot and in the back row. One of the neatest features is a built in dash camera, which can be used to share videos of interesting journeys to Facebook, as well as for quickly resolving insurance claims. Engines are familiar from other models in the Citroen line-up – specifically a 1.2-litre PureTech with 68, 82 or 110PS and a 1.6 diesel with 75PS or 100PS.